Preventative Maintenance for Alarms and CCTV Systems, Staffordshire, Stoke - PSE Security Services Ltd. The Environmental Health, Local councils and Insurance companies recommend that an alarm is serviced regularly. If an alarm activates whilst you are away from your home or business and key holders cannot be traced and the alarm has been sounding for over an hour, the Environmental Health have powers to obtain a warrant to enter the property and de-activate the alarm. The cost of this work can run into hundreds, to cover the costs of Environmental Health agent, Alarm Engineer, Locksmith. Our preventative maintenance packages are totally unique to those offered by others companies. Our service and maintenance plans have been designed by our own engineers, by utilising their extensive knowledge of the numerous manufacturers and products, We are able to offer suitable maintenance contracts for Alarm Systems, Electric Gates & CCTV systems. Full details of these packages available can be found below. There is no need to worry yourself any more, PSE offer a complete comprehensive maintenance package for all new and existing customers and is available for all makes and models of alarm systems, even for systems installed by other companies. Carry out an annual full system service and issue a detailed service certificate. Any faults or defects found during the service visit will be itemised on the service certificate, detailing the identified issues. 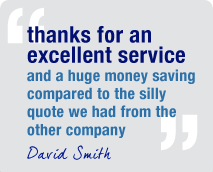 On request, we will provide a detailed written quote to carry out the required system repairs. Carry out minor modifications and re-programming changes during the service visit. Batteries are replaced once they are 5 years old. Will aim to repair all faults the same day, or within a suitable pre-arranged timescale to suit. 24 hour emergency callout service is included, 365 days a year should you encounter problems. * All systems will be subject to an initial survey carried out by our engineers before entering into a service contract. * Preventative Maintenance Contracts for alarm systems start from £75.00 ex. vat, for standard installations. * All Commercial & Industrial Intruder Alarms may be subject to additional charges, Full details are available on request. Emergency engineer callouts are responded to on the same day that the fault has been reported to us. On average, our engineer arrival time is approximately 2 hours, but may vary up to 4 hours during busy periods. Upon arrival, our engineer will attempt to carry out a successful repair to the system during the initial visit. nuisance or annoyance and then look into the nature of the fault. If a more serious fault is found during the night or early hours of the morning the engineer may decide to arrange a re-visit to repair the problem later that day. If replacement parts to be required to repair your system and we do not have the parts available in stock, they will be sourced and made available usually within 24 – 48 hours. If the engineer is unable to carry out a repair and a second visit is required, this will be arranged to be completed during our normal business hours. Excluded from the maintenance contract are any faults or defects caused by vandalism, terrorism or acts of god, such as lightening storms or flood damage, Loss of electricity supply due to fault or other act, Accidental damages are also excluded. We will at our discretion undertake repairs based on the above exclusions; however a respectable fee may be chargeable on the engineer"s labour, emergency call out and replacement parts. Full details available on request. Due to the nature of such faults, No work or repairs shall be carried out without consent from an authorised person such as home owner, company manager or supervisor, property agent or landlord. We reserve the right to terminate any preventative maintenance contract at any point throughout the contract period and withdraw all servicing arrangements in the event of your system being modified or tampered with by any person or company other than ourselves. No refunds are given for terminated agreements.